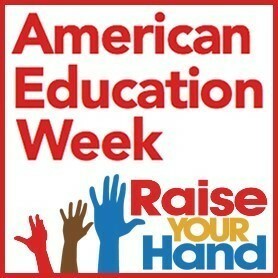 With Murray County Central’s 11th annual American Education Week we look to celebrate the accomplishments of our students, staff, and community members who have contributed in a significant way to our district. At Murray County Central High School, we understand that teaching our students is about more than just a focus on academics. Educating the whole child includes the social and emotional components of our students as well, and it starts by building and maintaining positive relationships with each learner. Our staff recognizes this priority and understands that when students have a positive connection with at least one caring adult, they achieve at higher rates, are more engaged, and show care and empathy for one another. Our teachers understand that each student is a unique individual with a specific set of gifts and abilities and that there is no one-size-fits-all approach to education. These relationships help to motivate and inspire individuals to pursue success. It is also in the context of these relationships that we teach the values of respect, responsibility, and integrity that will guide our students to use their knowledge wisely as productive, contributing citizens. As we look at our test scores from the latest Minnesota Comprehensive Assessments, our district continues to score higher than the state average in all assessed areas- reading, math and science. In fact, when we compare our proficiency scores to the schools in our area of southwest Minnesota, we rank second. We talk a lot about a tradition of excellence here at MCC. Over the last several years, we consistently ranked in the top three districts in SWMN. We attribute this success to the hard work of our students, tireless effort of our staff, and full support of our community all working together to provide opportunities for students to achieve their highest potential. The future is bright for Murray County Central. Probably the biggest thing I have learned from my time here is that it takes all of us- students, staff, parents and the community doing our part to provide the opportunities that will make our students successful and our district great.